When implementing a quality management system, it is essential that quality managers are familiar with Cost of Quality and important tools for improving Total Quality Management. Cost of Quality is a term that is widely used but also widely misunderstood. It is not about the cost of creating a quality product or service, rather it is the cost to the business of not creating a quality product or service. This course will explain this in full. This course will first introduce you to quality, quality assurance, and Total Quality Management. You will study the aspects of traditional management and look into the different variables that affect quality. The course will teach you what customers are looking for in terms of quality. You will also study contemporary quality philosophies and management strategies as well as the consequences that poor quality bring to the organization. You will also learn the enormous effect of quality mismanagement. Next, you will study the visible and hidden costs of poor quality. You will learn the different quality management systems such as the TQM(Total Quality Management), the ISO 9000, and the Six Sigma. You will learn where to begin looking for quality problems as well as study the Deming Model of Quality Management. You will cover the two modes of quality control and learn that operations are a transformation process that you can manage with the right tools. Business strategies for ensuring quality are essential, but can often be difficult to manage. This course will teach you about the tools that you can implement in a quality management system which can help you identify problems before they arise or prevent them from reoccurring. If you have already studied Alison's Introduction to Quality Management course, take this Cost of Quality course and bring your quality management skills to the next level. 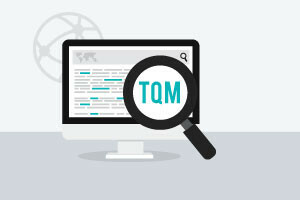 Define what Total Quality Management is. Describe what cost of quality means and how it is measured. Describe in detail how the ISO 9000 and QS 9000 standards function. Describe the tools of Total Quality Management. Describe quality measurement in service industries. Describe the role of Six Sigma quality systems.